For Over 7 years, Gianna's has been supplying all your catering needs. With free delivery on all orders and prompt service Gianna's Pizzeria will be there to create the elegant dining atmosphere that you and your family deserve. Medford Pizzeria & Catering, Gianna's Pizzeria is located 2080 Route 112, Medford, N.Y. 11763. 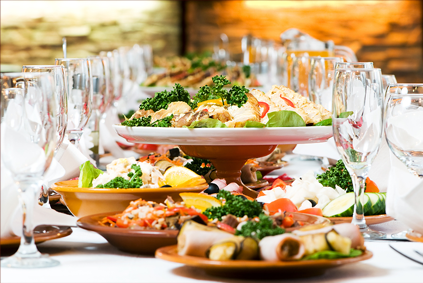 For more information regarding catering please click here.